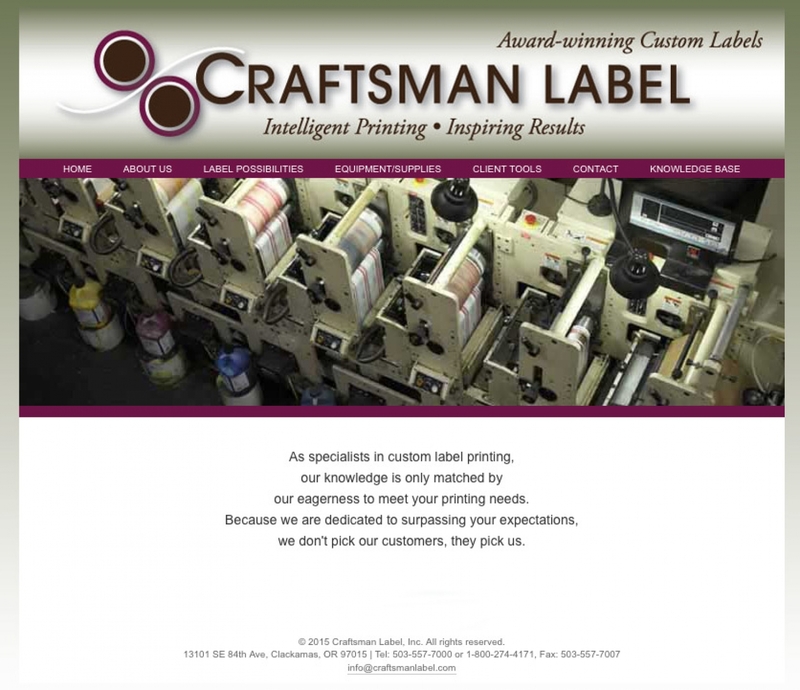 Craftsman was a stand-out among label printers, but they hadn’t let everyone else know the level of quality that their shop produced. 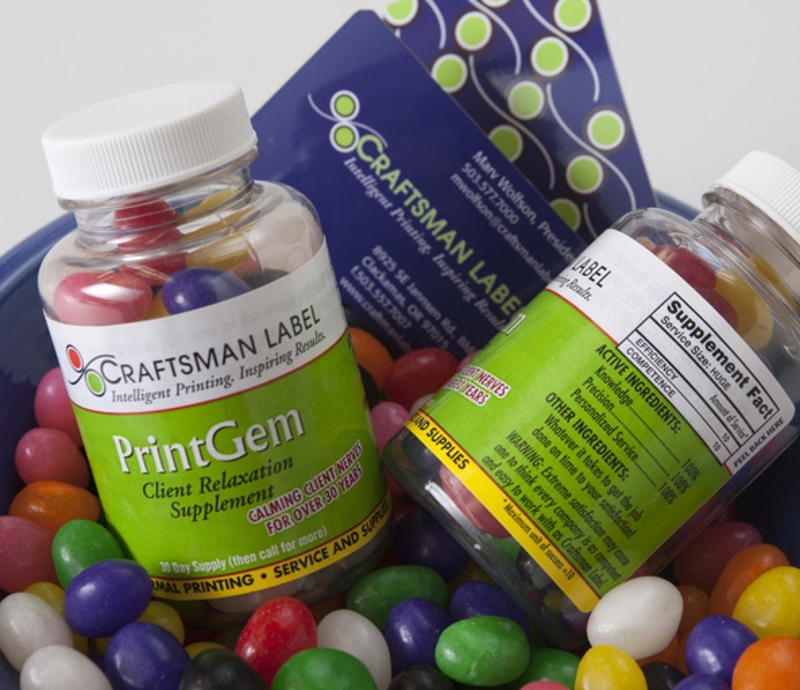 During meetings discussing the differences between Craftsman and their competitors, it became obvious that they were printers loved by their clients for their efficient, smart production methods. 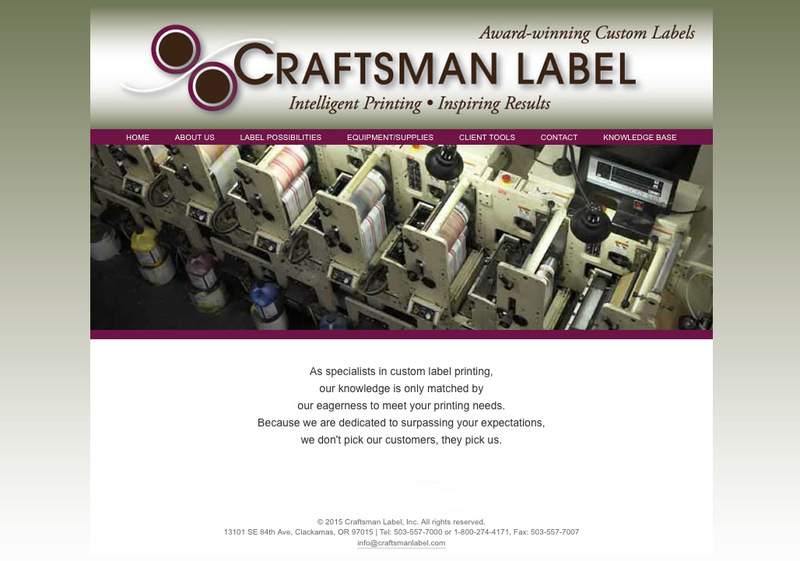 After designing a logo, I organized the essential print categories and web architecture, art directed photography, edited copy and worked with a resourceful web designer to craft a new image for Craftsman Label. Within two weeks request for quotes doubled. 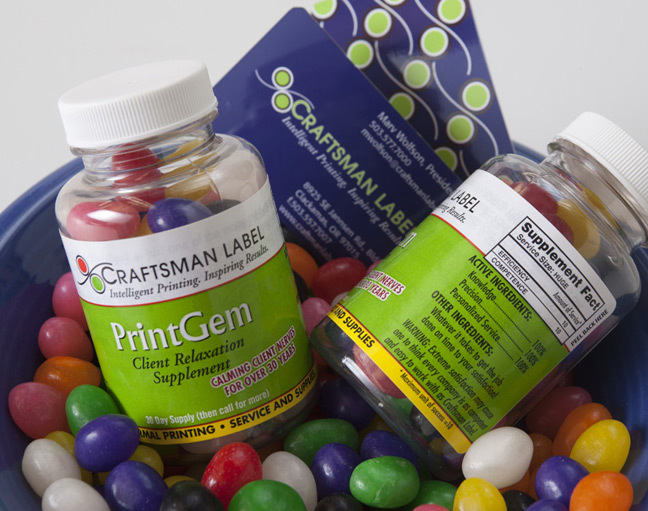 The next project consisted of a trade show booth backdrop and a trade show give-away. The jelly bean label for the give-away is still one of my favorite bits of concept writing. It’s one of those little pieces that rarely gets noticed, but was so much fun developing. Task: Develop a new logo and website. Result: Request for quotes doubled within two weeks. 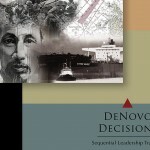 I have worked with Karen Gatens on several projects over the years including our website. Karen has always been an inspiration both professionally and personally. She is a wonderfully talented lady and completes her projects on time and within budget. I would recommend Karen at Gatens Design wholeheartedly to anyone who is trying to rebrand, build or do a simple design project.